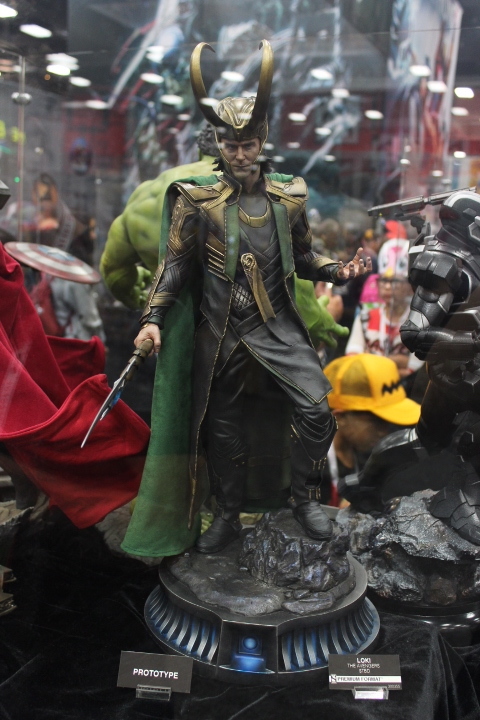 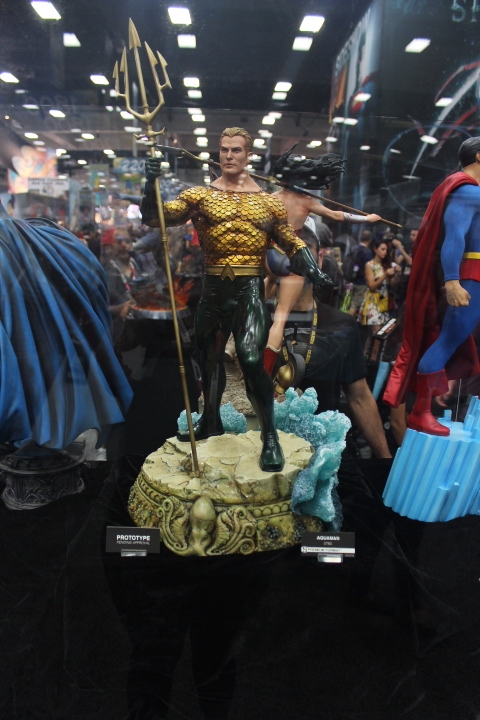 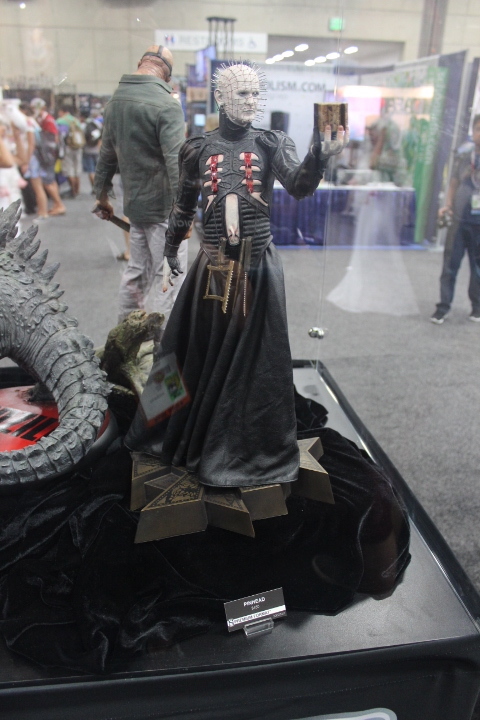 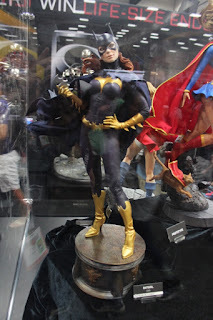 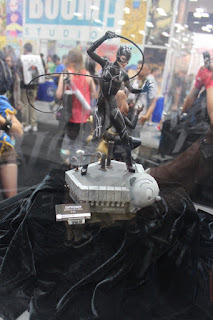 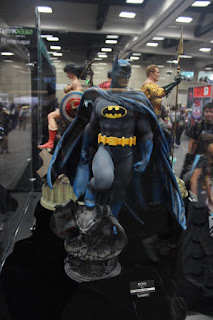 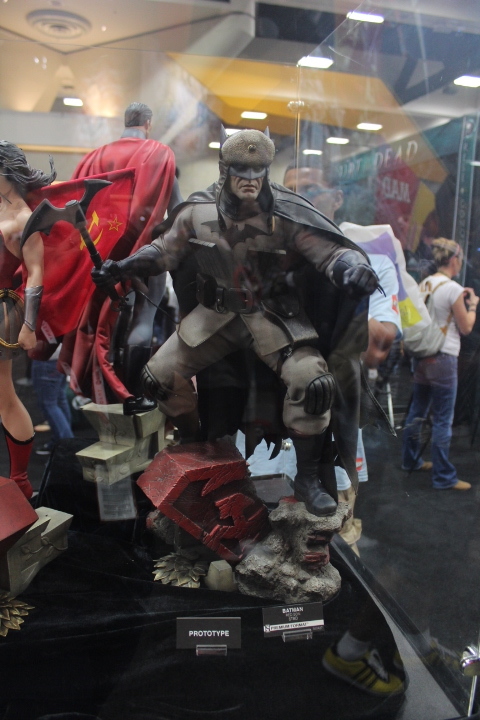 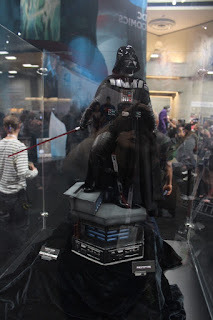 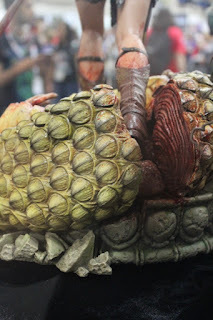 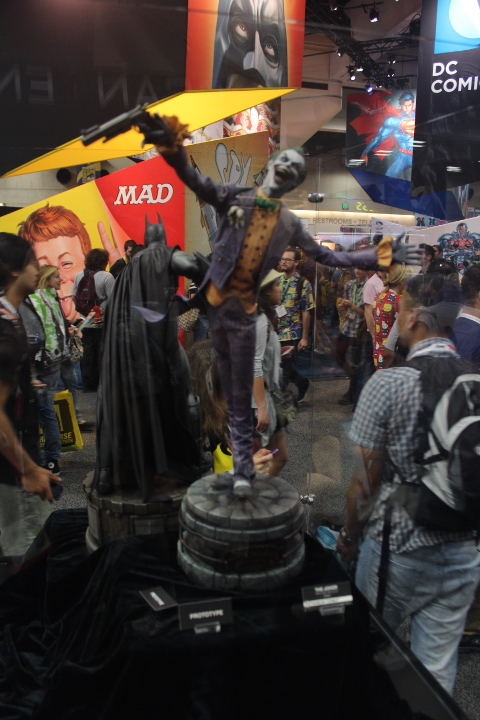 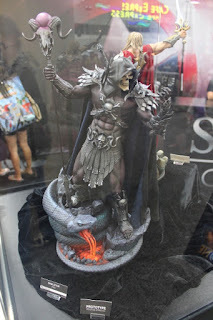 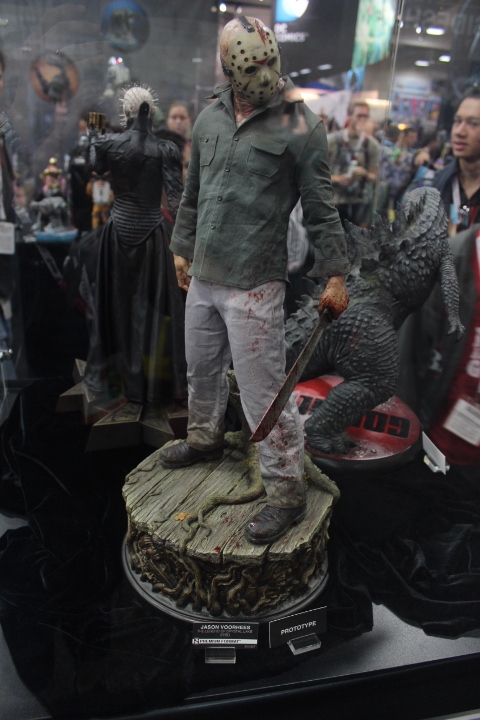 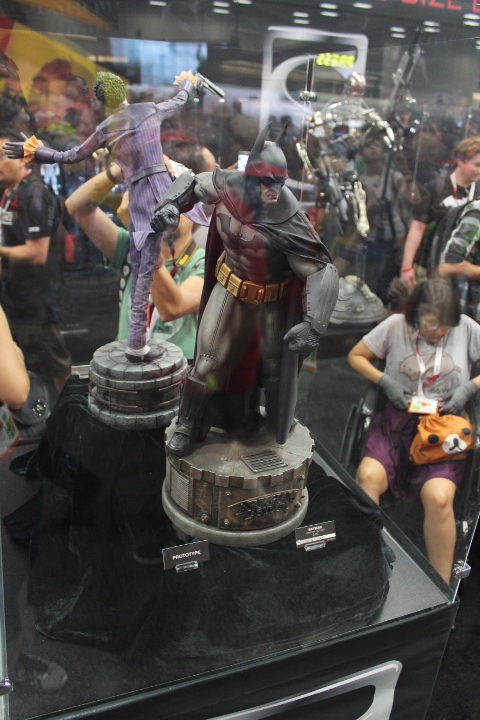 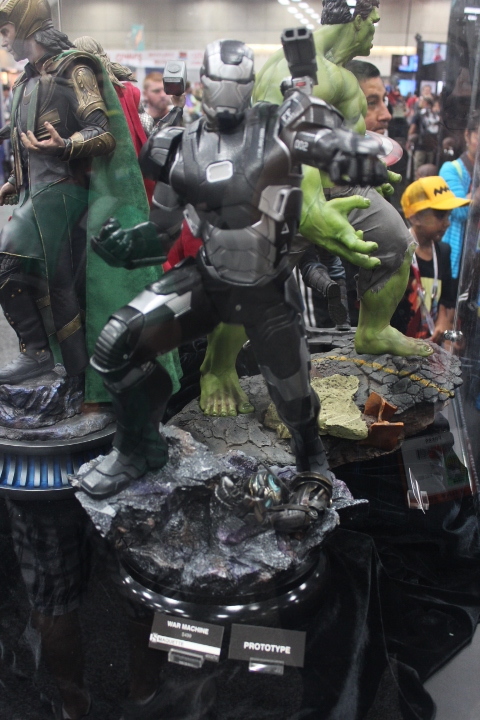 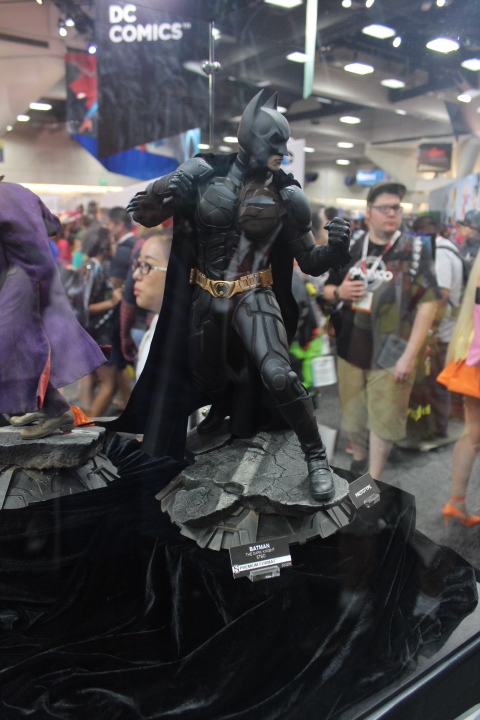 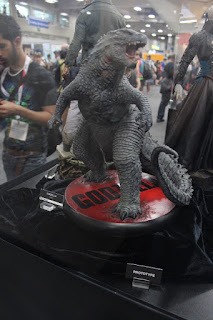 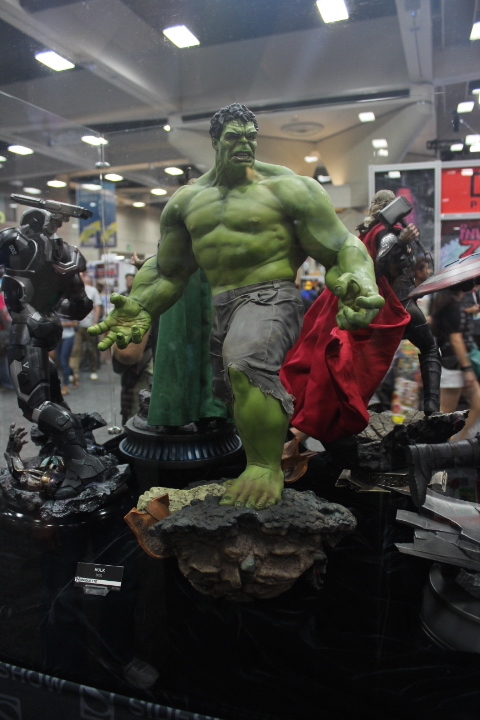 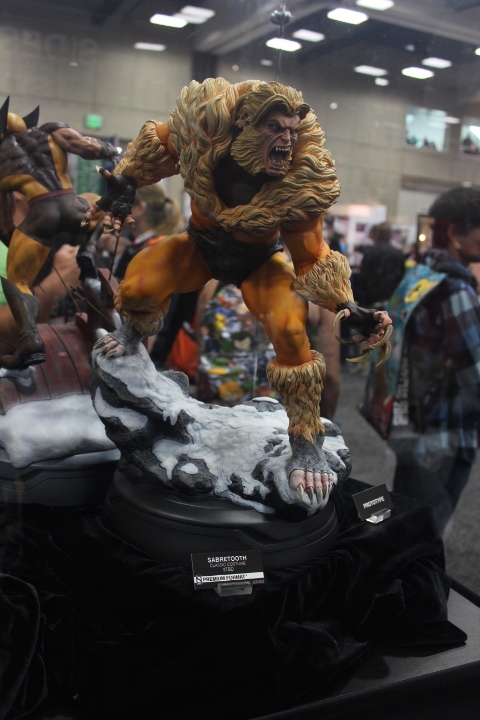 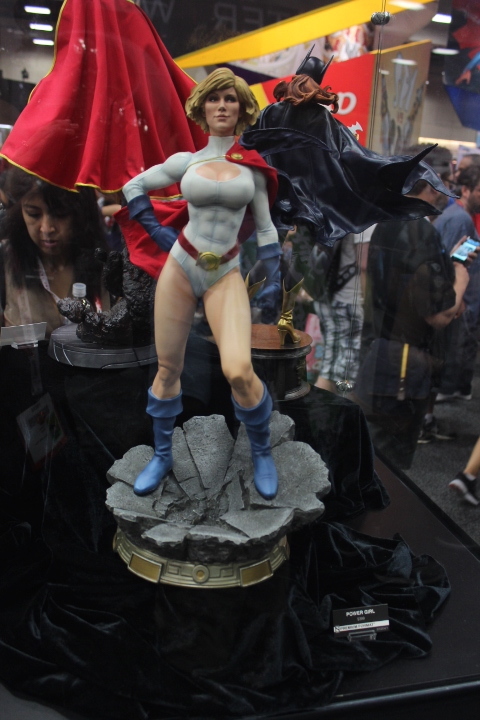 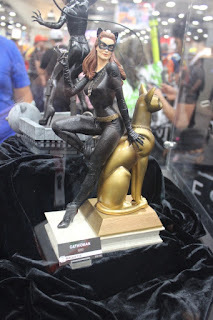 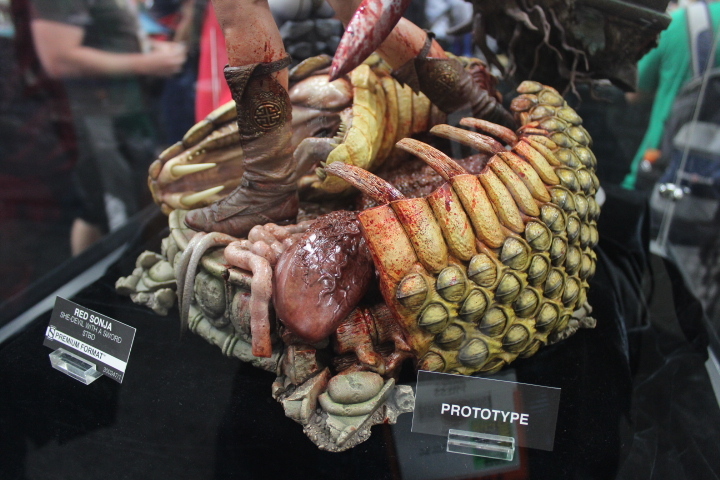 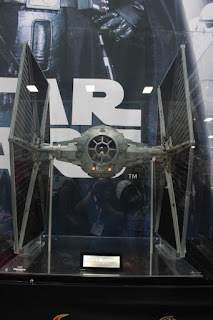 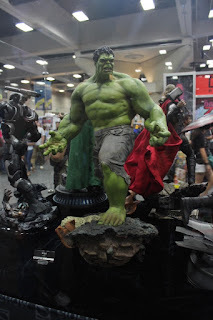 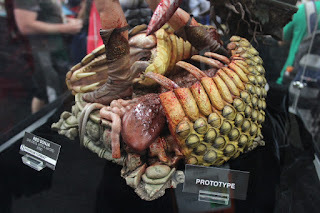 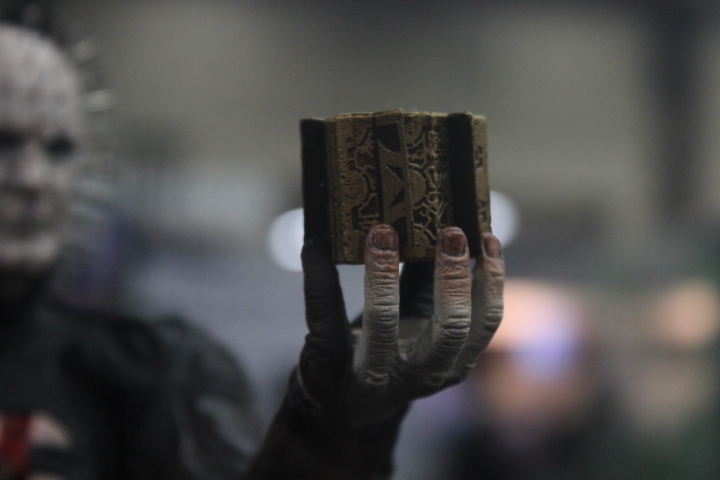 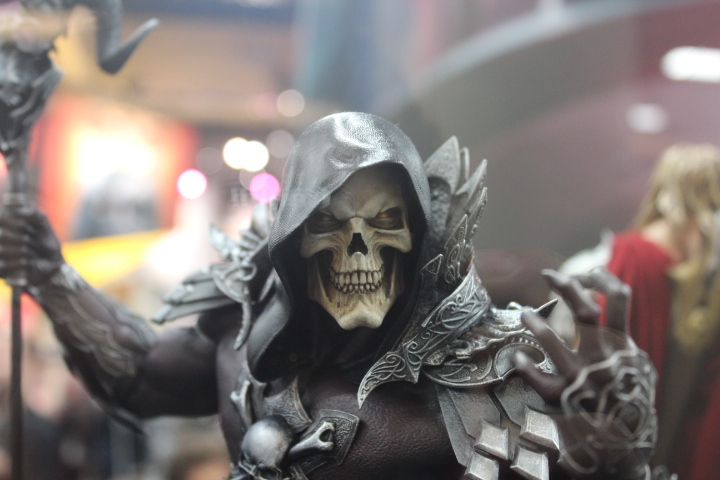 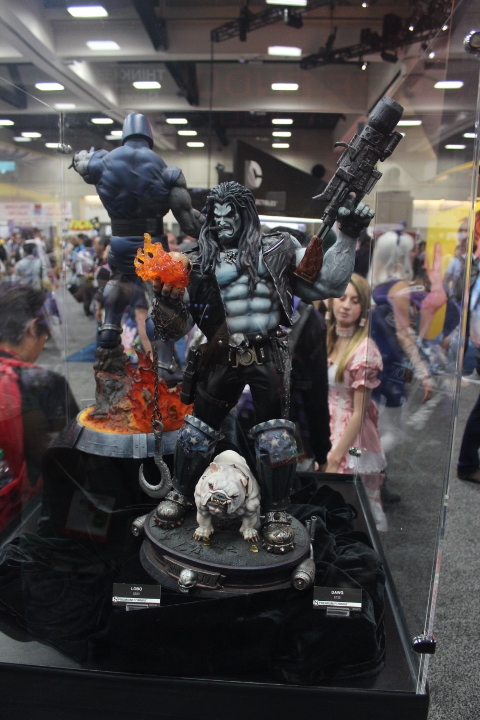 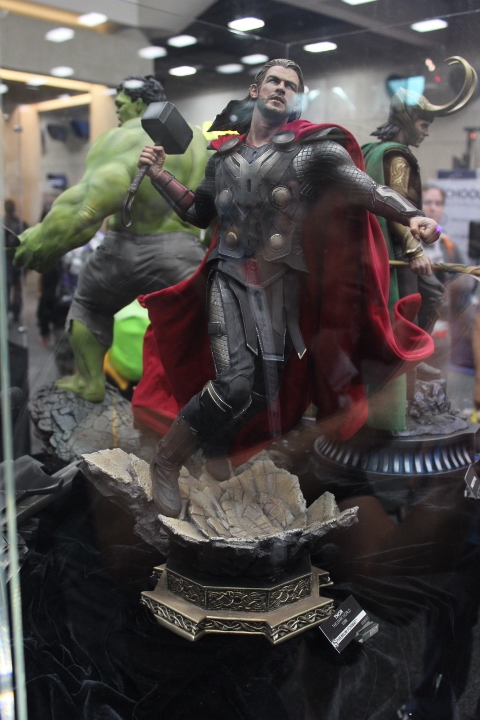 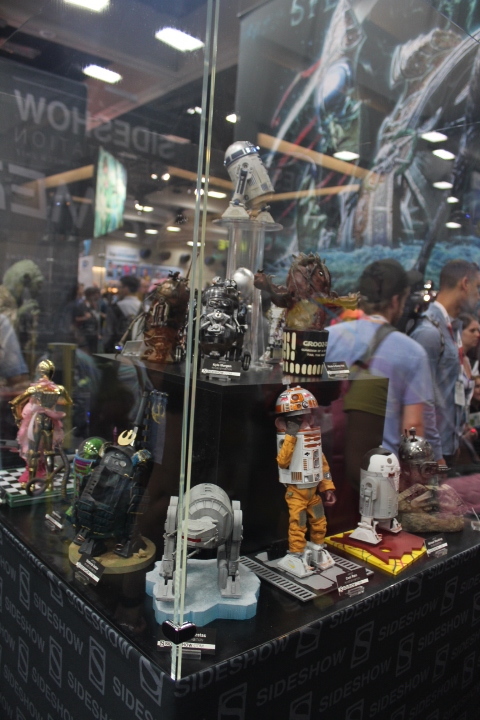 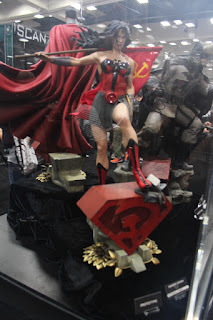 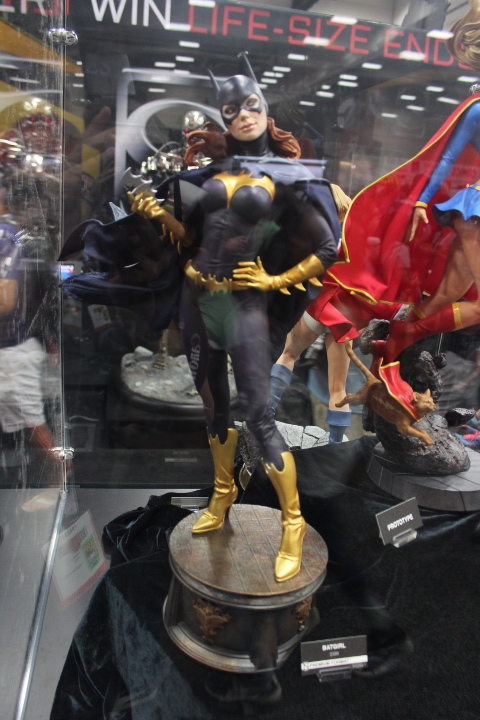 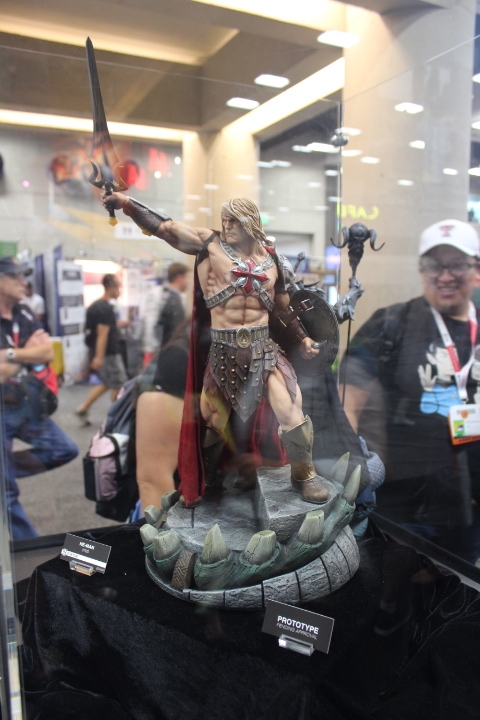 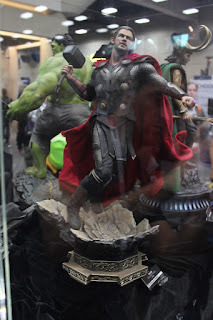 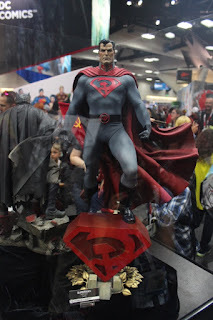 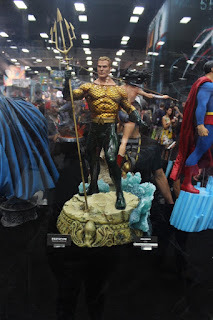 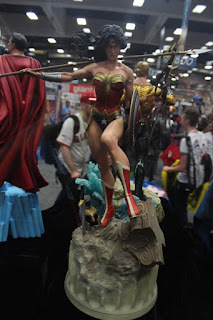 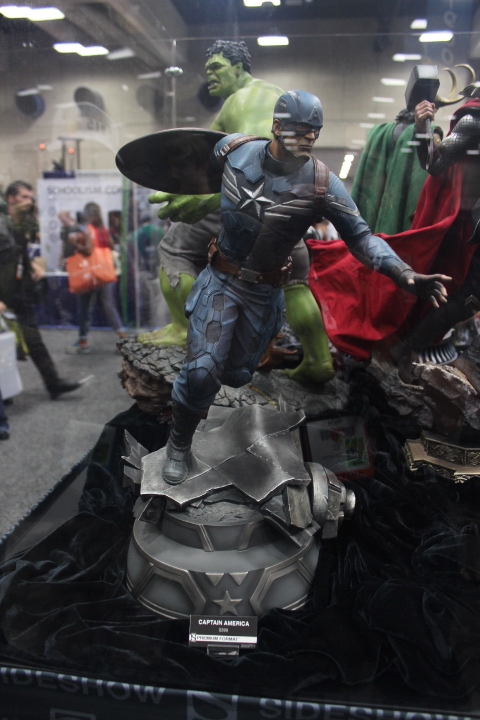 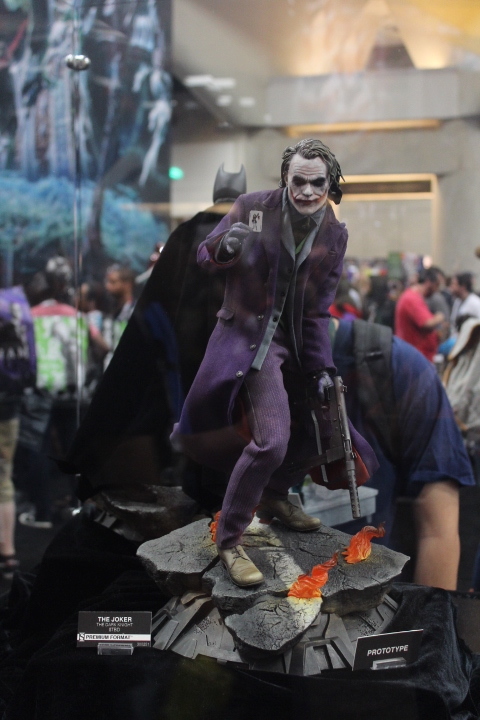 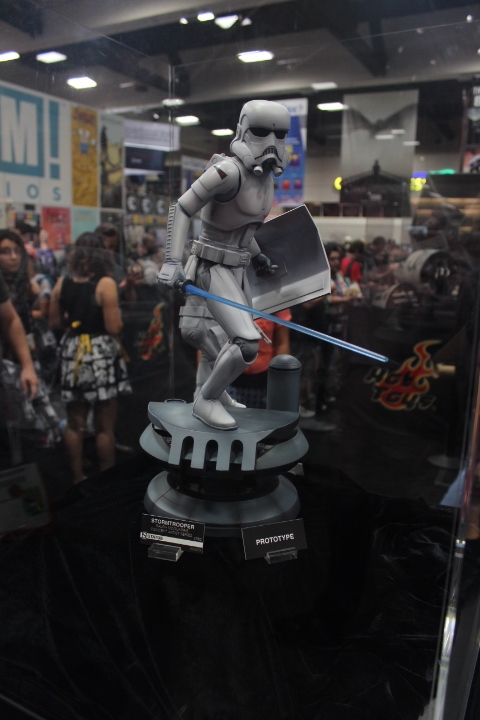 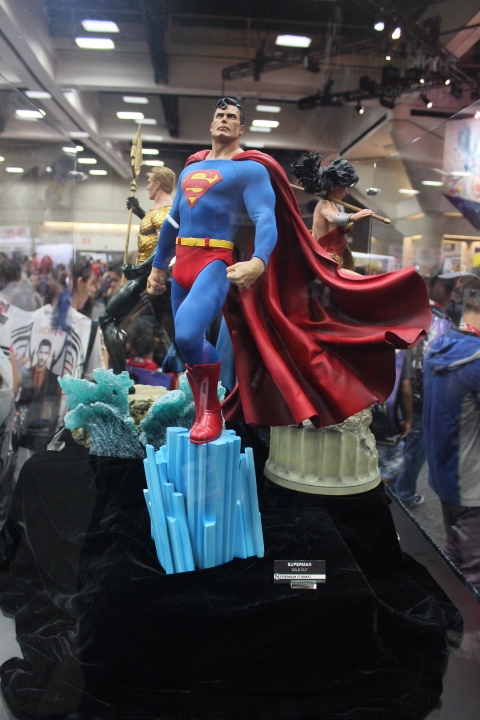 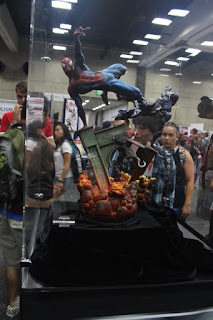 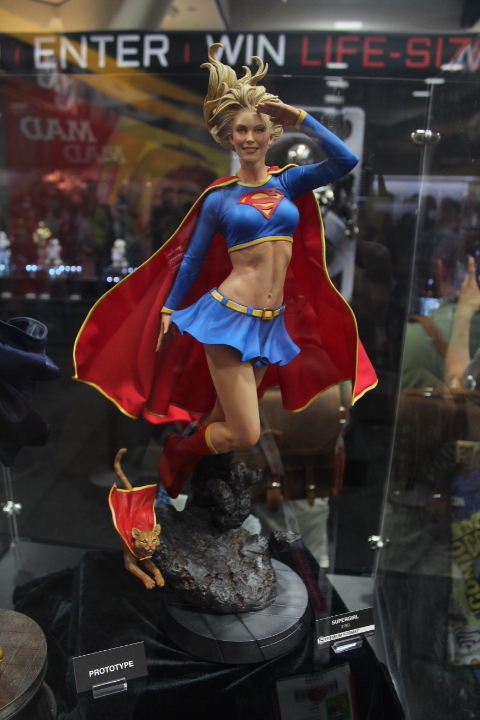 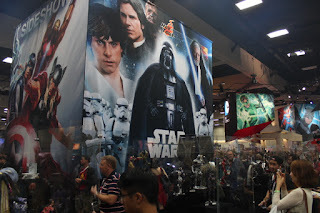 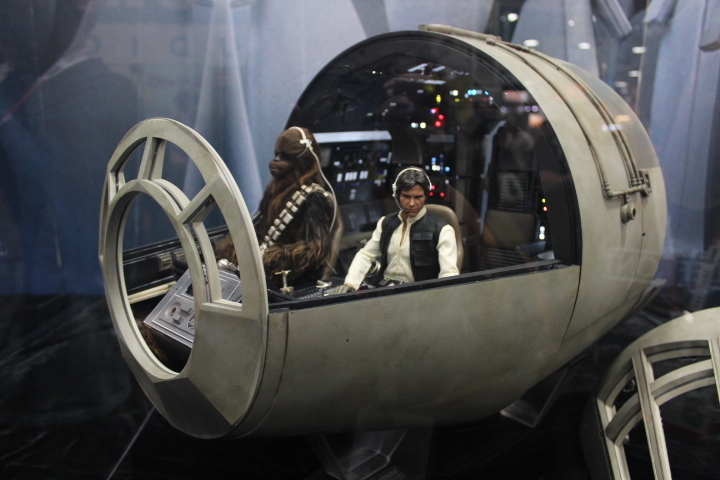 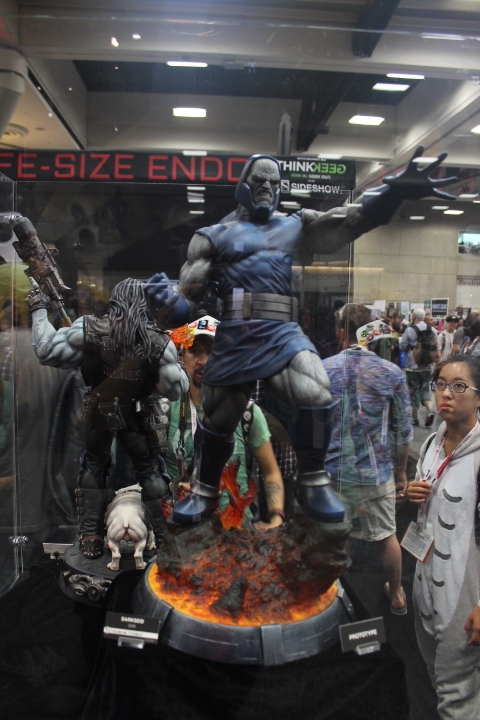 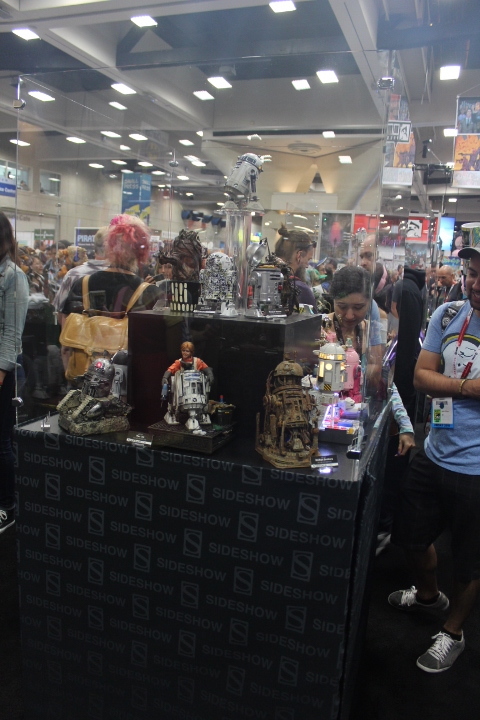 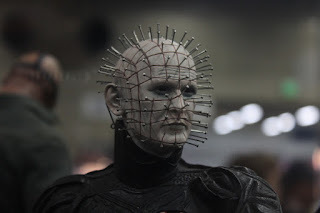 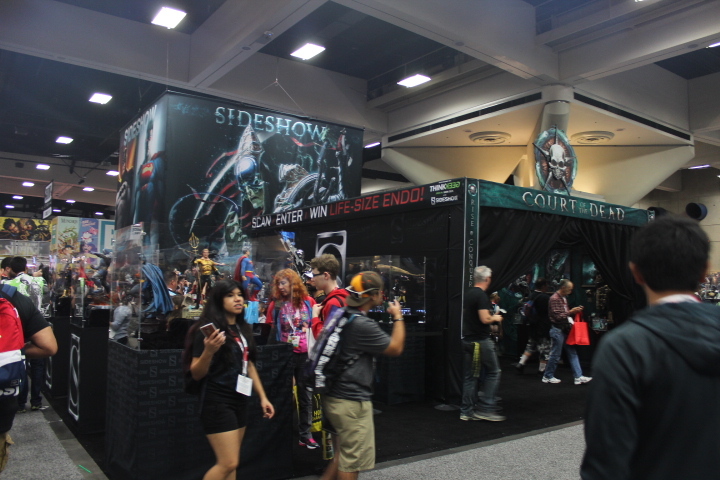 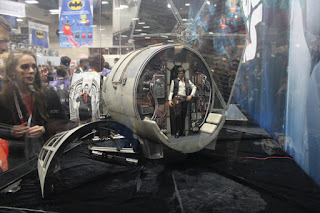 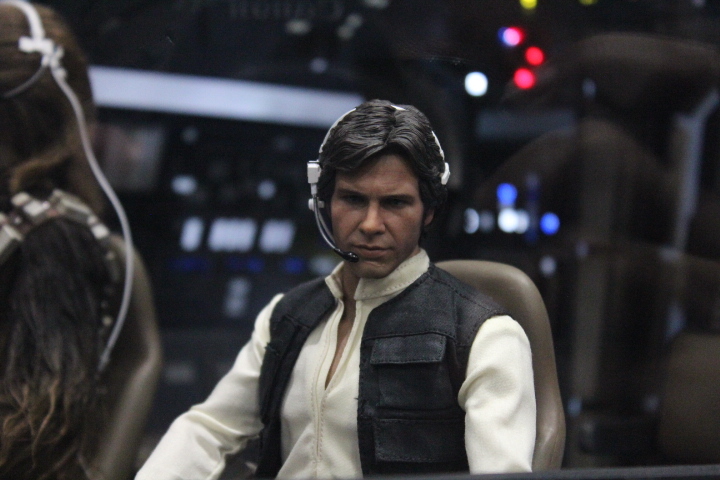 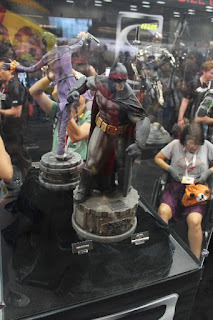 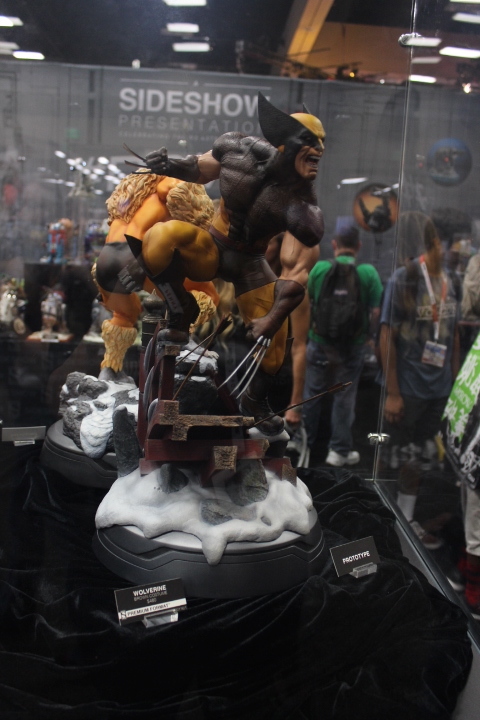 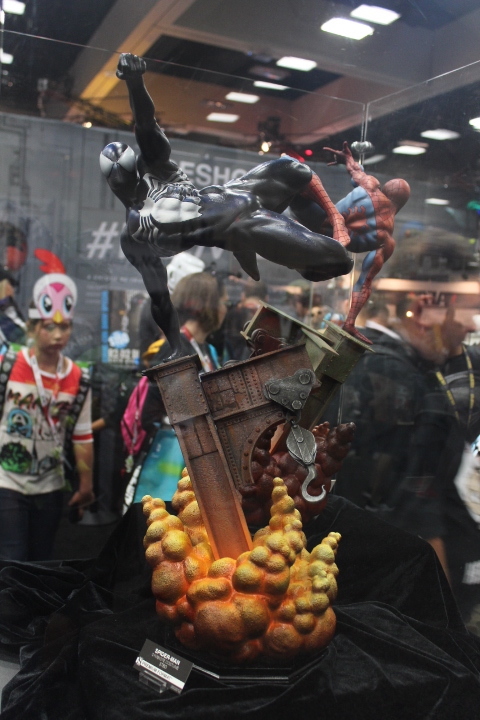 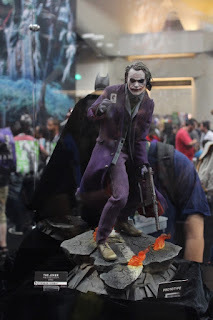 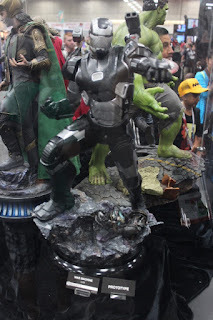 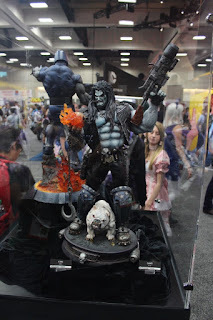 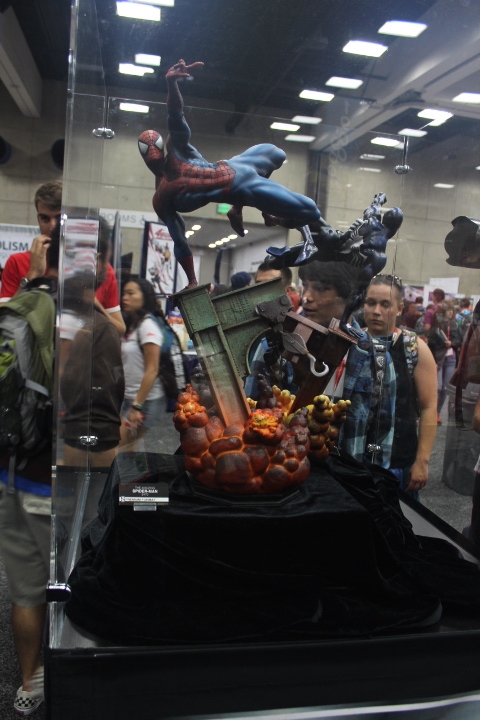 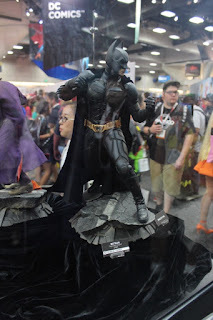 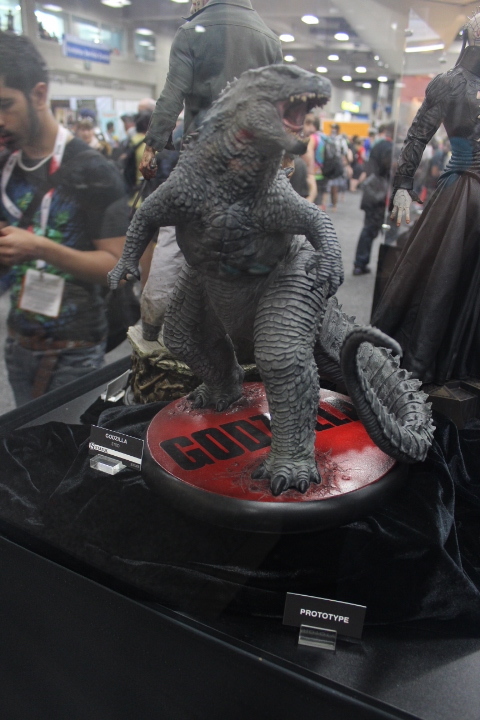 There was something for everyone in the Sideshow Collectibles booth at San Diego Comic Con. 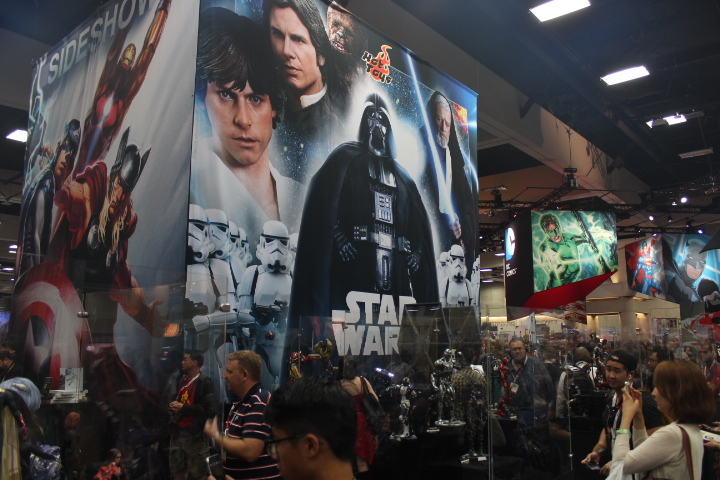 Your favorite Star Wars, Marvel and DC characters were present. 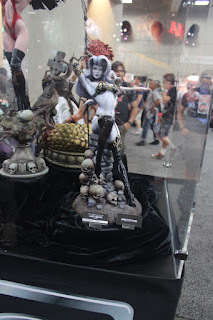 Even the creative director for the Court of the Dead, Tom Gilliland was present. 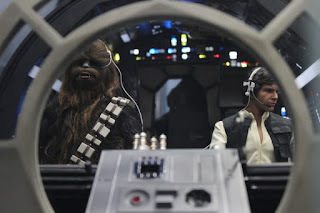 Two items that immediately caught our attention were the 1:6 scale of the TIE Fighter and cockpit of the Millennium Falcon. 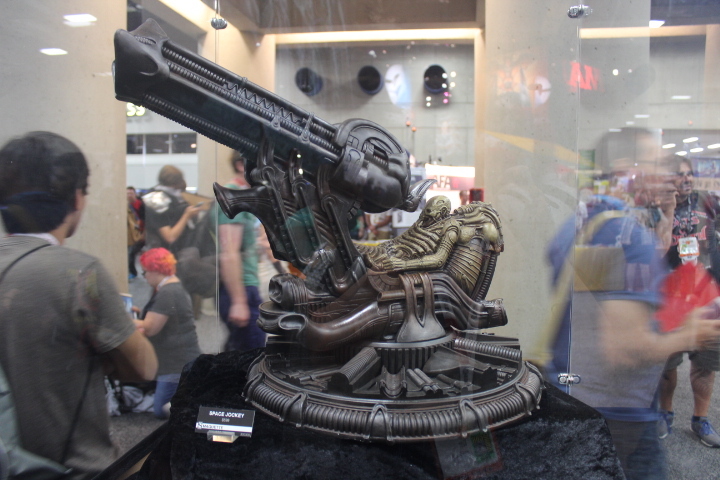 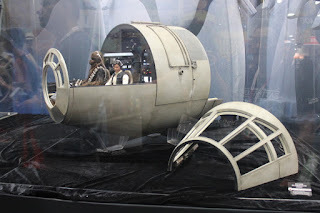 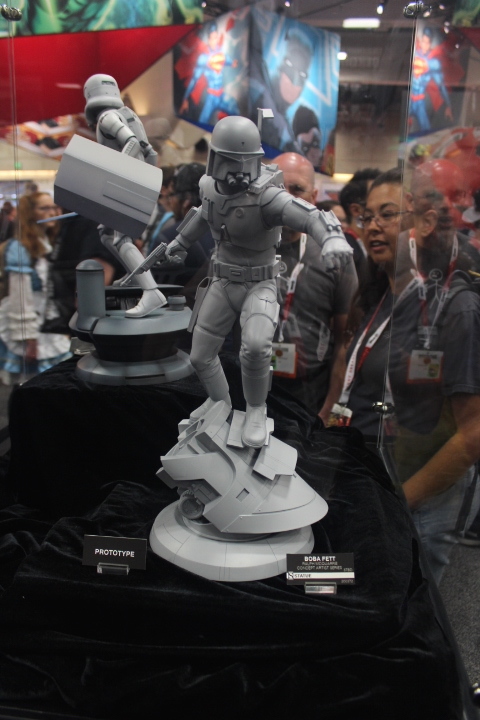 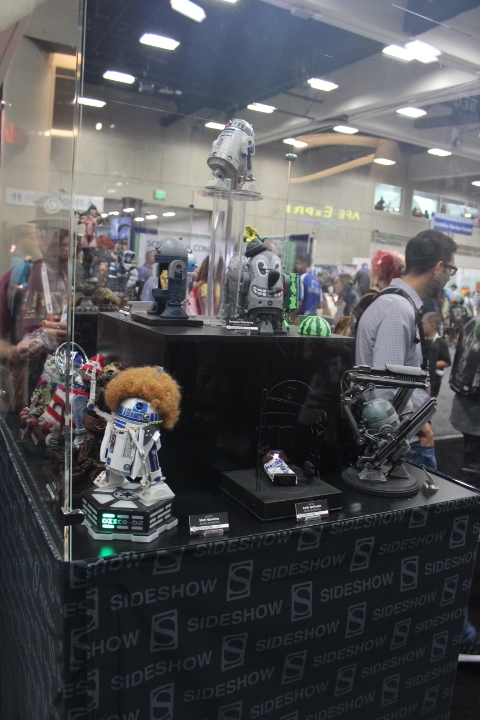 At Star Wars Celebration, we were covered the custom R2ME2 project. 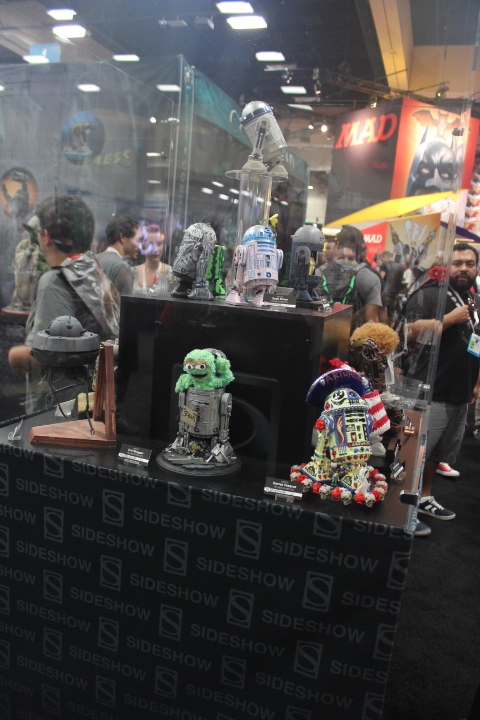 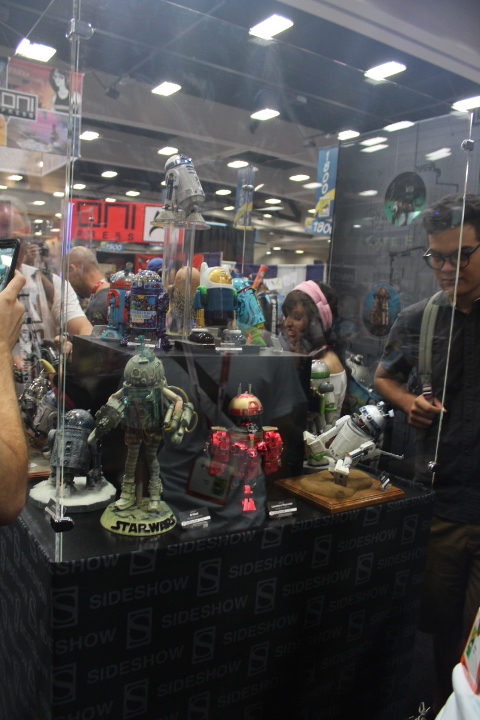 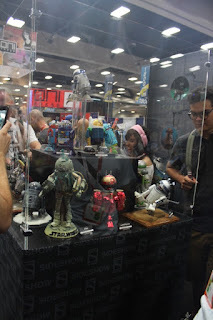 There were new R2ME2 customs in the booth as well. 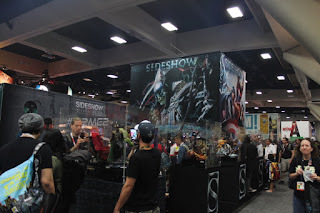 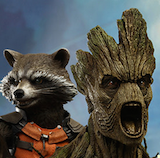 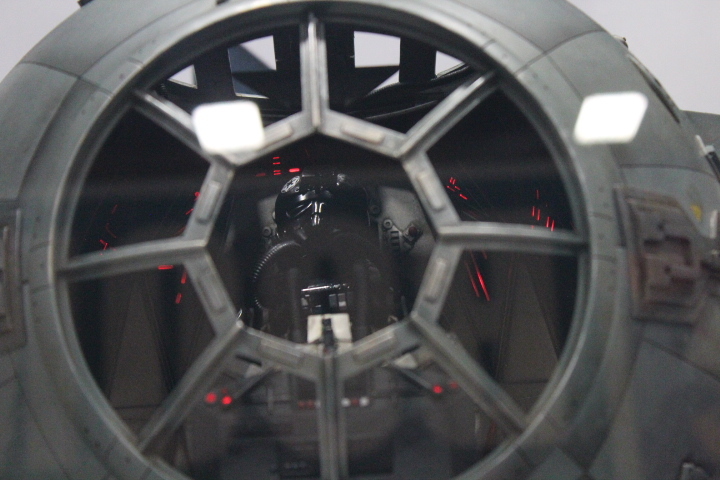 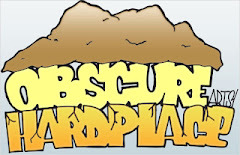 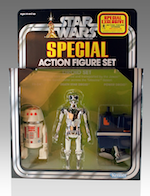 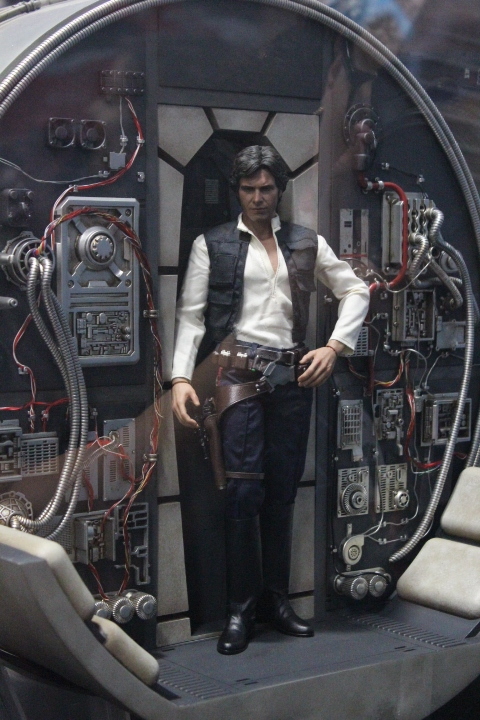 We are always amazed at the level of quality and detail of Sideshow products. Check out the pictures below and make some space on your shelf because you will order one of your favorite pieces of pop culture through Sideshow Collectibles.